Going to Australia and not visiting the Ayers Rock would be like going to Paris and not seeing the Eiffel tower. This wasn’t really an option for us. When already taking the long trip to the other side of the world, we wouldn’t have wanted to miss this icon. You probably know it is lying in the outback of Australia, so this means really far out... in the middle of the country... right in the desert. So your options to get there are a little limited. If you don’t have endless time and a 4-wheel ride, going there by car is not realistic. So, the most common way is to take the plane. 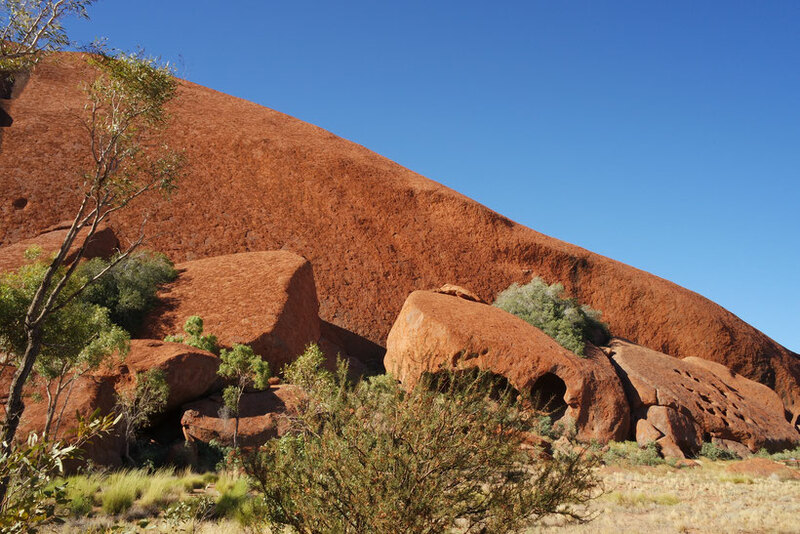 All the big Australian airlines are flying to Alice Springs or directly to Uluru. Keep in mind, these two places are actually over 500 km apart. So flying into Alice Springs is not it - you need to get another ride to Uluru. We’ve heard some good thing about the 3 days return trip from Alice and it sounds like fun, even though you spent quite a few hours in the car. But the more convenient way is to go to Ayers Rock Airport directly. There are 5 flights per day all going to different cities. 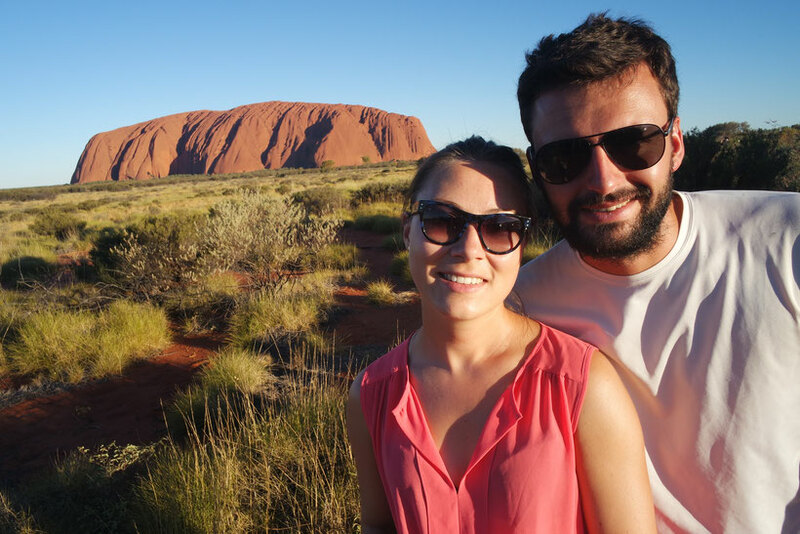 We decided to skip the road trip and fly into Ayers Rock directly from Sydney and take an onward flight to Melbourne. Doing that, you have to stay at the Ayers Rock Resort, since there’s no other option. Fortunately, the resort offers several hotels in each price segment what even includes a campsite for the budget travelers, also, transport from the airport is included. Don’t forget, pre-booking is absolutely mandatory for all of them!! If you don’t feel like flying and wanna see some more of the outback, you can consider taking the train. "The Ghan" leads from Darwin to Adelaide and is stopping in Alice Springs. From there on you can take the 3 day return trip to Uluru. Book a car online to save you money and hassle! Being at the Ayers Rock Resort, we thought it’s gonna be easy to get to Uluru National Park as you are already kind of next door. But Fiddlesticks! This was a total tourist trap! The shuttle bus to the park was 70$ return per person for a 15 min bus ride and no possibility to get around inside the park. Additionally you need to get the 3 day pass for the National Park, that costs you 25$. First, we thought this was a big joke. Normally you go there once for the sunrise, once for the sunset and maybe for a walk or a climb to the rock directly. So paying three times 70$ per person wasn’t our thing and we had strong feelings about not supporting this rip-off. What we did instead was to rent a car. That wasn’t cheap either but a lot less than the bus would have been. 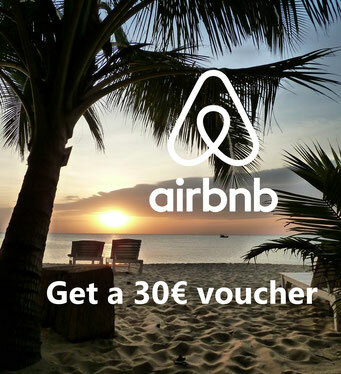 And don’t rent the car at the office at the resort but online! It was like half the price online even when we booked it already being on site. The next big question to decide, is, whether to climb Uluru or not. It used to be pretty popular a couple of decades ago. You could even get a t-shirt with the saying: “I climbed Ayer’s Rock”. 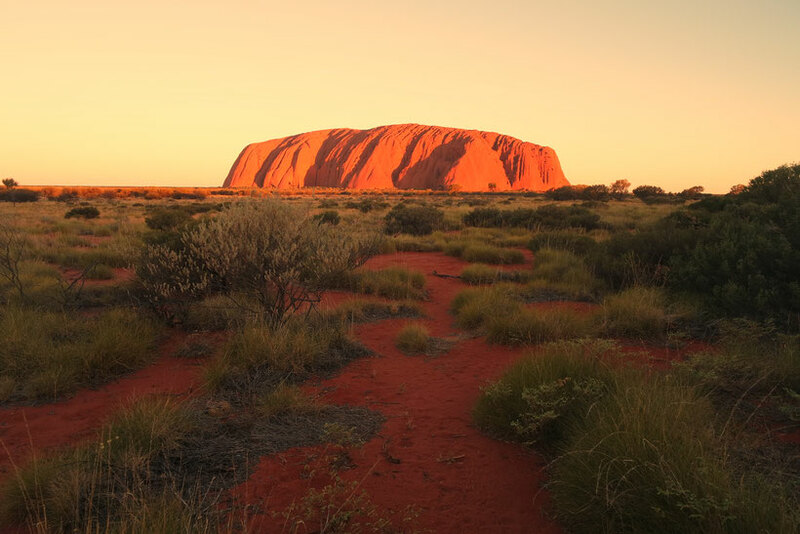 The rock was given back to the Aborigines in 1985, but since a couple of years the rangers try to get the tourists not to climb Uluru anymore and respect the culture and the spirit associated with it. There are several regulations and rules to close the climb for each day, for instance: due to heat, wind, rain and cultural events. Remarkably though, it is not prohibited in general. 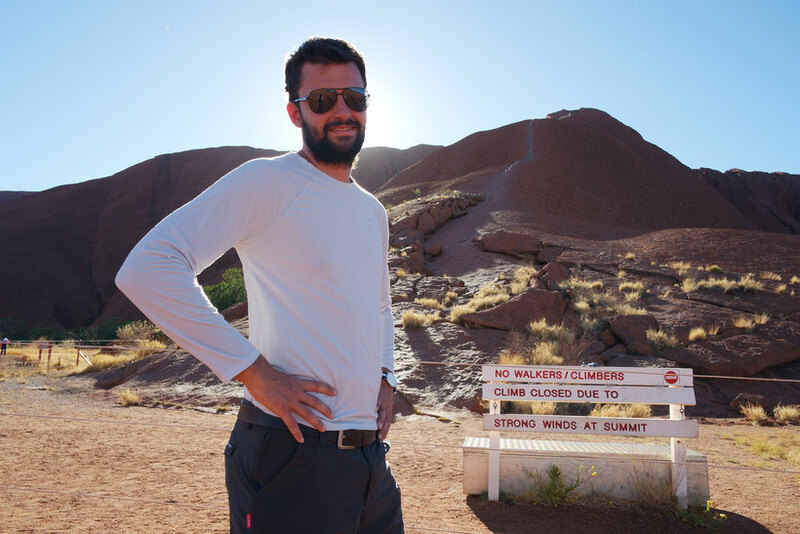 After asking a ranger on a nice guided tour around Uluru, why they wouldn’t just close it for climbing once and for all, we could read between the lines that they are afraid of scaring of the tourists. So now the rangers are trying to slowly establish other activities one can experience at Uluru instead of climbing. The goal is to get this disrespectful act to the aboriginal culture out of the people’s heads. 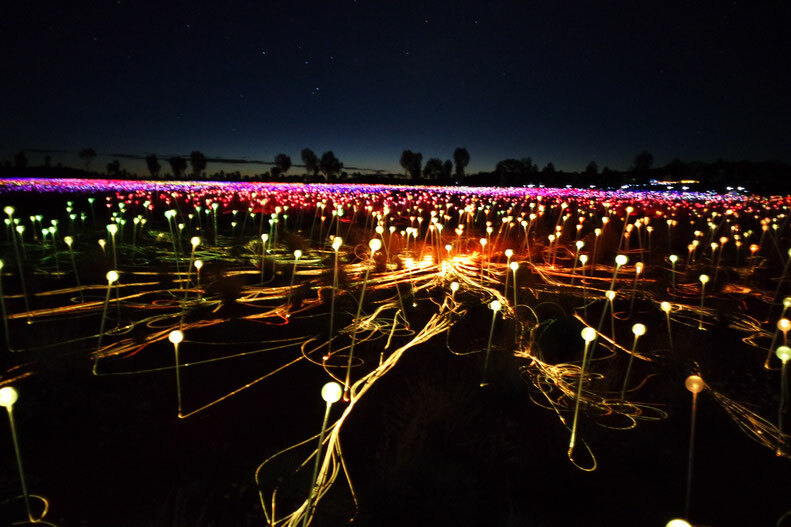 And don't miss the field of lights exhibition until beginning of 2018!